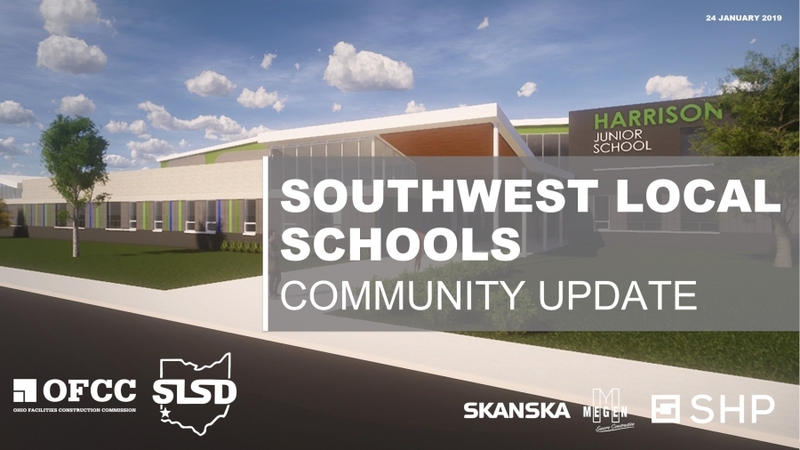 On Thursday, January 24 the Southwest Local School District presented the second Town Hall meeting, updating the community on the design process of the new school facilities. The presentations were led by our architecture firm, SHP Leading Design, and our Construction Management firm, Skanska. Video of the event can be viewed HERE. To view the slides from the presentation contained in the video, click HERE.